Growing up, no one really ever taught me how to handle my money, no one taught me how to start saving for retirement. It is something that most people just learn by themselves. Looking back I would have enjoyed having a finance class in high school. Others must have felt the same way because I've heard they have started teaching finance as early as middle schools now. I've made my share of financial mistakes and wish I could have found these 8 sites early in my life. They all have great financial advice and great deals that you wont find anywhere else. Personal Finance Digest - I read this blog everyday. It gets updated M-F. He covers a series a great deals, funny news, and money making opportunities in every post. My Thirteen Cents - Written by another military member with updated deals. Hustler Money Blog - Updates on newest credit card, bank bonuses. Always updates american express offers and has fun offers like free gift card promotion for test driving cars. Military Money Manual - Great advice including TSP, taxes, loans, investments. etc. The Military Frequent Flyer - Great Military advice for traveling, credit cards, and many other subjects. 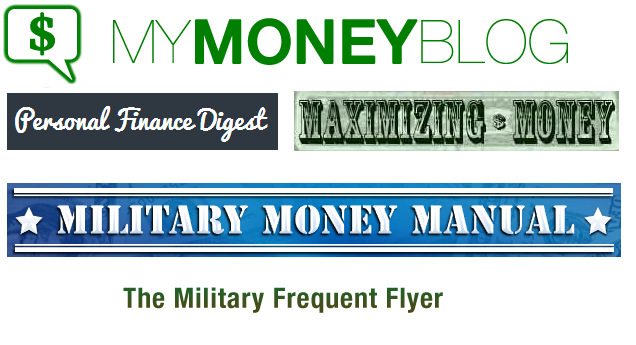 Let me know if I missed any other amazing military or financial blogs in the comments below.